This release includes several reporting improvements, which are highlighted below. When you make minor changes in the Edit panel, you can use a new Preview button to refresh just the data table instead of the whole page. 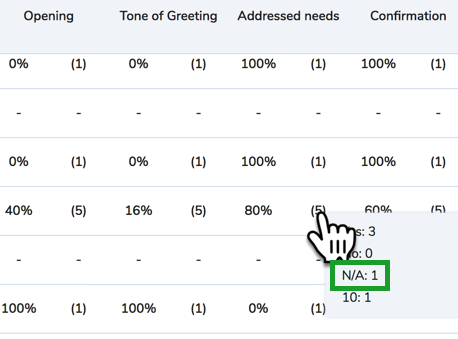 In reports where answers to questions are displayed, N/A is a valid count answer to some questions. To make more room for the content of a report, you now have access to a control that allows you to collapse or expand the search bar in the report. You now have the ability to use sub-groups in addition to using single-level groups in an Average or Trending report. This enables you to add a third layer of hierarchy for grouping evaluation data in reports. Sub-grouping is displayed on the Excel export as well. When you are grouping by evaluator or sub-grouping, and there is no evaluation, the evaluator is listed as None. If you use custom data fields, you now have the ability to use these data fields to organize reports. For example, a customer number or some special data might be populated from an additional system, such as a CRM system. Reports now have the capability to include these in the “Group By, Then By” structure. When you select a Subtotal cell in a Summary or Trending report, there may be more than one evaluation included in the average calculation. These evaluations can be viewed as a group in the Evaluations search page by clicking a new link, which appears in cases where more than one evaluation is considered. The Speech Topics Trends report now has the ability to report hourly or daily. When hours and days are selected, the report will be limited to a window of 48 hours or 14 days, respectively. Minor grammatical improvements have been made to the reporting options available to you. This release includes several Quality Management improvements, which are highlighted below. 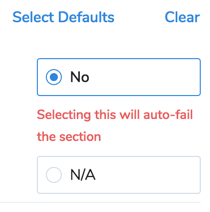 The new Auto-Fail Section feature simply sets all the question points in that section to 0, similarly to the function of the Auto-Fail Evaluation feature; this allows you to auto-fail a specific portion of the evaluation, rather than all of it. Auto-Fail Evaluation continues to function in the same way as before. The descriptions for auto fail functions have also been improved, and now display a message when evaluation question answers result in auto-fail behavior. 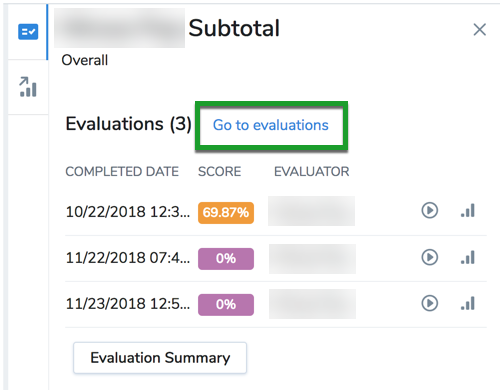 You now see a new column in the Evaluations search page if an evaluation was failed on a specific section or completely. In addition, these evaluations can be filtered using the search filter under the new field Evaluation Auto-Fail. 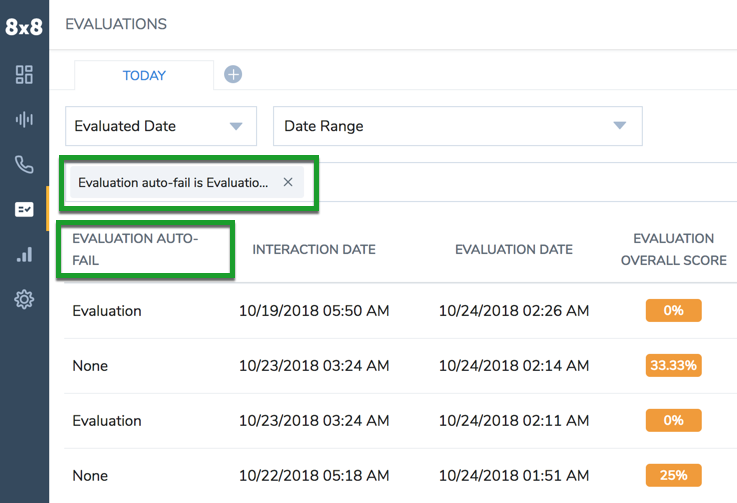 New messages help guide you when an evaluation question is answered in a way that causes an auto-fail in a specific section, or for the entire evaluation. These messages can show up per question, as well as when the evaluation is saved. As a manager, you now have the ability to measure how consistent a question response is. Consistency is counted based on how often an agent met their goal, divided by the number of evaluations in the consideration period. For example, if Agent A has 10 evaluations and met their goal on 5 of those, Agent A’s consistency is 50%. 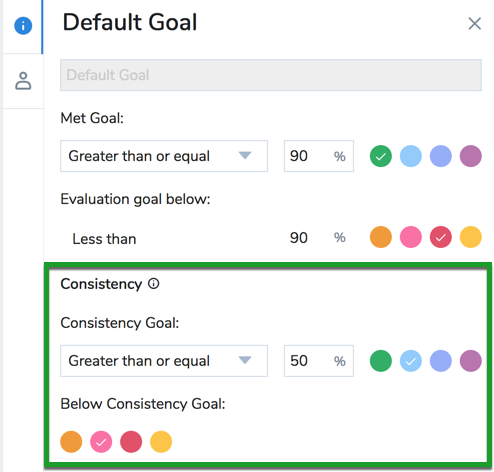 Consistency can now be configured along with other Goal settings. Consistency is calculated for subtotal columns and grand totals, as well as row totals for each row item. Additionally, exports to Excel now contain this information. 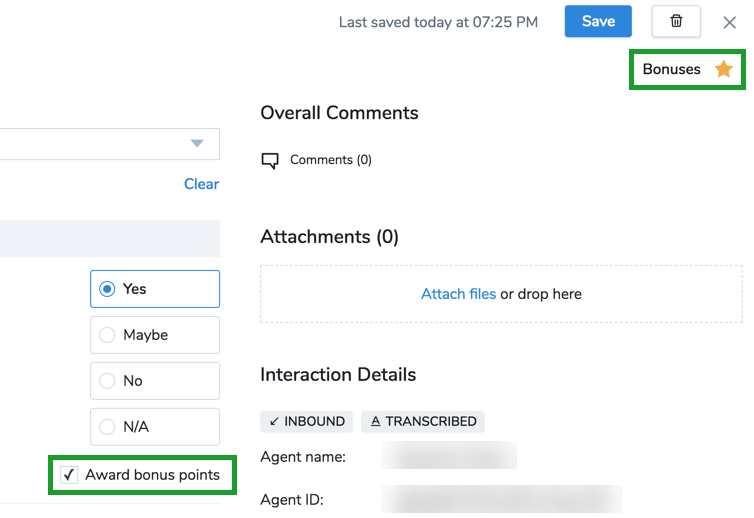 Bonus by points: To calculate bonuses based on points, clear the check box labeled as “Ignore bonus point values and increase the actual point values given to the agent by % if one or more bonus responses are given”. When unchecked, each question type now supports bonuses. This includes Yes/No, Multiple Choice, Scale, and Single Answer questions. The bonus option is only presented if the question meets 100% of the possible points, preventing users from being given bonuses on questions which do not meet 100% of the points required. There is no limit on how many questions can be awarded bonuses when they are calculated based on points. Bonus by percentage: To calculate bonuses based on percentage, select the check box labeled as “Ignore bonus point values and increase the actual point values given to the agent by % if one or more bonus responses are given”. By default, this option is disabled, as it changes the mathematical calculation for specific use cases. From the evaluation editor page, you have the option to add a bonus to any type of question. Evaluations with bonuses added are indicated by a Bonus icon. Bonuses are also indicated on the Single Evaluation report. You can now use filters in the Evaluations search page and in evaluation reports, based on which evaluations were or were not scored with bonuses. You can now toggle allow comments even if the template has already been scored. Coaching hints now display a maximum character counter as you write coaching hints. Abnormalities no longer appear in template editor sizing on-screen. ROC-3290 Speech Discovery cannot create topics because no phrase is assigned. ROC-3263 Retention information is not synchronizing with Virtual Contact Center. ROC-3121 Keyboard navigation selects different filters than what is highlighted. ROC-3094 After a call is ended, the label that was added is deleted. ROC-3031 The date range selector does not work. ROC-2505 Columns should hide when an outside element is scrolled to. ROC-2978 The label input and buttons are not centered. ROC-2915 The expand/collapse button in the report header does not work on Internet Explorer or Firefox. ROC-2900 New templates do not show up until role modifications or updates are complete. ROC-2889 Topics report two # signs for each matched phrase. ROC-2854 The Overall Emotion column in search results is not displayed correctly. ROC-3228 Some voice interactions remain in the metadata-ready state, and cannot be played back. ROC-3203 A deleted column is still visible as an empty placeholder in the application. ROC-3123 The "audio not available" message is randomly triggered while playing back voice interactions. ROC-3015 Snipping calls does not work for some customers. 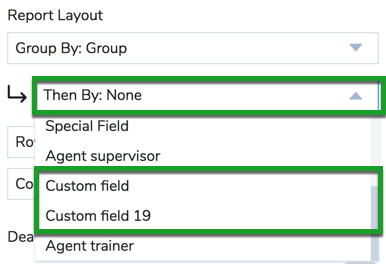 ROC-3005 Retention profile fields are reported as empty. ROC-3000 Search displays an error if no template authorizations are checked in roles. ROC-2996 Demo data is not available after adding a brand-new customer instance. ROC-2993 When application features are purchased, the application does not install them. ROC-2985 QA Template editor visual elements are not aligned properly. ROC-2853 Visual elements of the single-date picker are misaligned. ROC-2848 The same template can be saved several times. ROC-2829 When loading the next page of data, modifications are reverted for selections. ROC-2821 When the waveform is opened from the timeline for voice interactions, the waveform soon disappears. ROC-2781 OR operator behavior is not consistent. ROC-2766 Additional filters and operators do not display text correctly on reports. ROC-2583 Labels may be duplicated when saving multiple times. ROC-2549 The report edit panel does not open consistently. ROC-2548 The search suggestion list is not attached to the search bar. ROC-2526 Searching for a specific result in a drop-down list does not work when the list is scrolled away from a matching result. ROC-2511 The selected interface language is only applied after the page is refreshed. ROC-2504 When scrolling through page results as the results are loading, the search crashes. ROC-2381 Matches for topics do not show up on transcripts. ROC-2077 Users cannot edit evaluations when they are created with a brand-new template.